This 3D model was completed in 2007. At a 1:10,000 scale it covers a total area of 396 km2 within the Municipality of Mozonte, including indigenous lands. The exercise took place in order to promote a dialogue between indigenous and municipal authorities and other stakeholders on land management and train stakeholders in the use of Participatory 3D modelling (P3DM) for educational (students), promotional (rural tourism) and governance (local authorities) purposes. 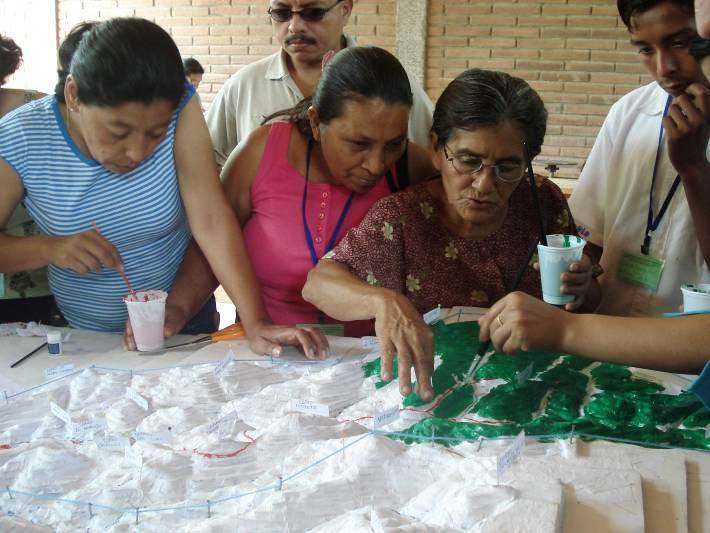 As a result of the exercise the boundary stones demarcating indigenous territory were made public as among the particiopants one elder knew the location of all landmarks. On the other hand the youth knew only a few. The process and the vislalisation of all the cornerstones facilitated addressing boundary conflicts. 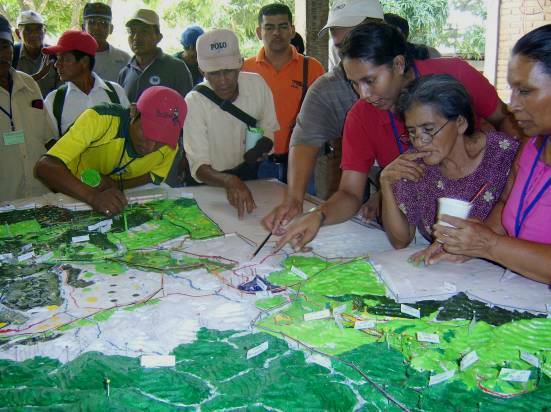 In Nicaragua, there is an overlap of rights that affects the possibilities of sustainable use of natural resources. 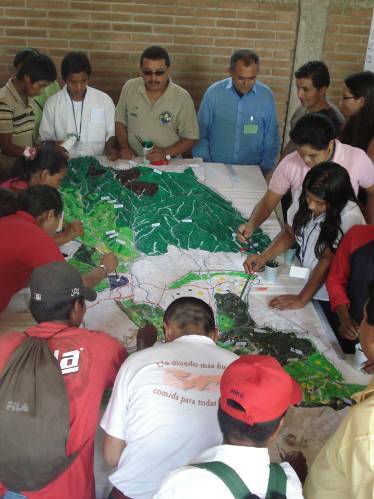 In Mozonte, there were standing conflicts between the indigenous and the municipal authorities as both entities have their own boundary outlines. Indigenous people rely on cornerstones known to the elders only and the local administration relies on boundaries drawn on paper by the Government. 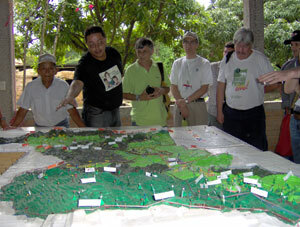 The models has been produced by the following institutions: Agrónomos y Veterinarios Sin Fronteras Nicaragua, Unión Nacional de Agricultores y Ganaderos (UNAG) del departamento de Nueva Segovia (Nicaragua) y Pueblo Indígena de Mozonte.